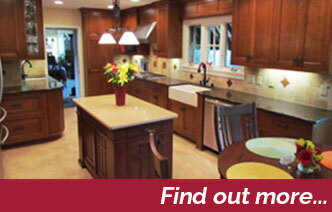 Specializing in award winning Kitchens, Bathrooms and Lower Levels. Bathroom looks fantastic! Great work! Pleased with the neatness and concern they took in our home. Very impressed with the quality of your work and quality of products used. We’re very pleased with our new master bathroom. 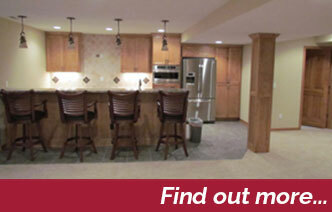 It was a great experience working with everyone at Remodeling Innovations Group. Our bathroom looks like something from Parade of Homes now! We are very satisfied with all aspects of the work completed on our bathroom. We are very pleased with the complete job and will tell others. The job was done on time. Very professional and accommodating to our time. Everything went as scheduled and the job was completed on time and in budget. Everyone was personable and trustworthy. Bathroom looks fantastic. Thanks for a job well done. 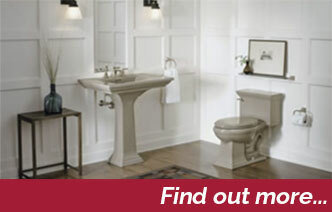 Our friendly experts are ready to answer any home remodeling questions you may have. Quality craftsmanship, superior products, outstanding value, total commitment is the foundation on which Remodeling Innovations Group is built. From your initial contact with us to detailing the finishing touches, we will respectfully listen to you, providing sound advice, seasoned guidance, and professional courtesy. Your home is very important to you and your family. We understand that need and want to make sure that you get the most value out of any services and materials that we provide to you. A lot of companies say they guarantee their work but then don’t back up their claims in the long run. This is the Remodeling Innovations Group difference.